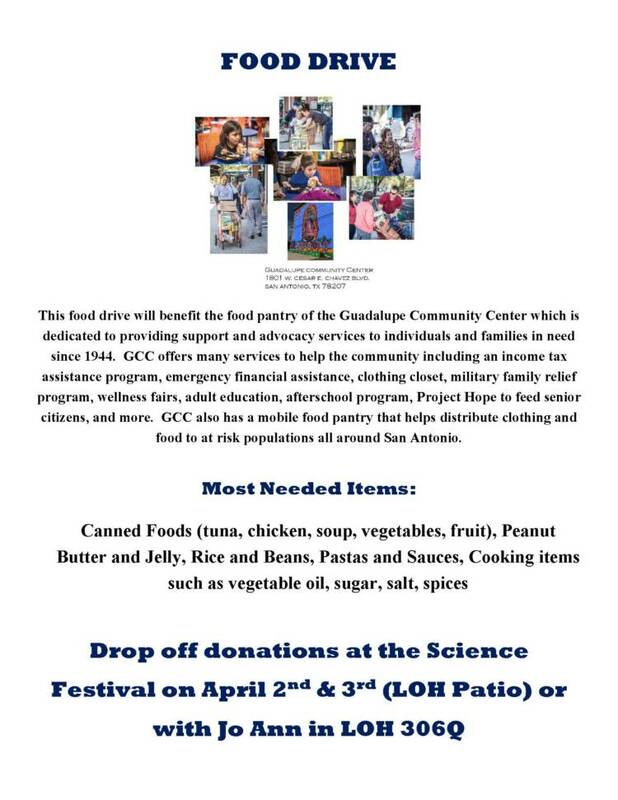 Last year, the class collected 550 pounds of food which was the second most food collected among local universities such as UTSA, OLLU, St. Mary’s (1st), and UIW. Jo Ann said she’s hoping the campus community can spread the word and make donations. She has a bin in her office in Live Oak, 306Q and will also have one set up at the NVC Science Festival on April 2-3.